K.C. "Bud" & wife, Jackie Klein started growing coonties (Zamia floridana/pumila) on their farm in Pasco County, Florida in 1994 with the intention of supplying seedlings for the burgeoning native plant market. After several years they stepped up the operation to a full scale nursery and started potting plants. 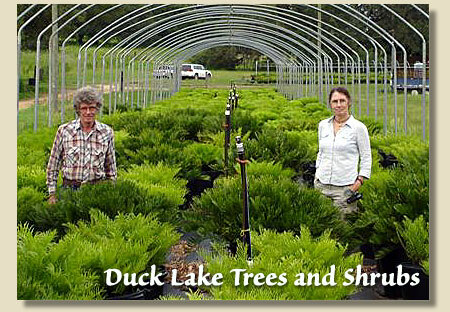 The rest is history, as they say, and soon Duck Lake Trees and Shrubs became the major supplier of coonties in the state of Florida (and no doubt, the world ). The coontie is a native xeric plant and requires minimal care after becoming established. It is in great demand for use in residential landscaping as well as state and municipal projects. 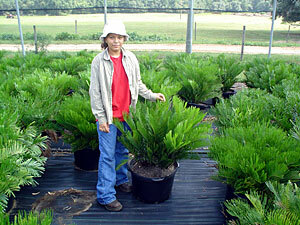 Because it tolerates shade as well as full sun, it is also very useful as an interior foliage plant. 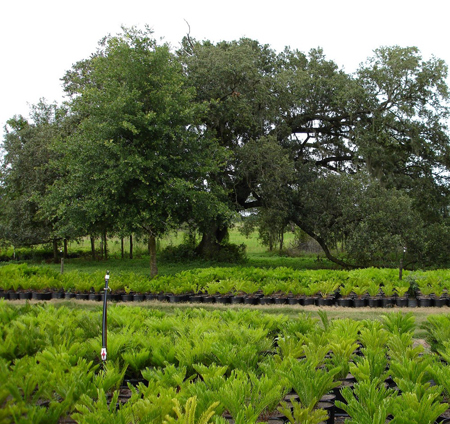 Today Duck Lake Trees and Shrubs has the largest stand of cultivated coonties ever offered to the market, boasting over two million plants, from seedlings to 45 gallon specimens. LEARN MORE ABOUT THE FLORIDA COONTIE!